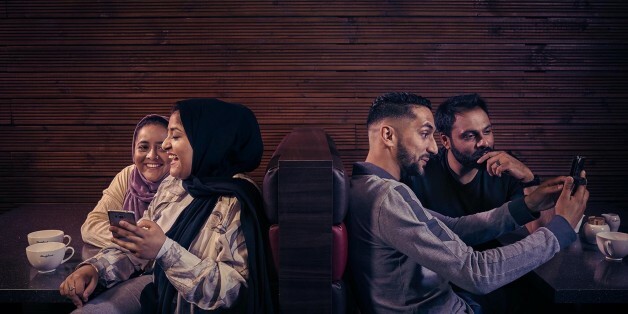 Last week, a programme called ‘Extremely British Muslims’ stirred up a storm on social media with its first episode as it delved into the problems faced by British Muslims in the world of romance, dating, and marriage. The documentary, though presented in a humorous and light-hearted fashion, was fundamentally disheartening and tragic. The programme focused on the love lives of young Muslims living in Britain, yet the show can be seen as a commentary on the overarching internalised struggle that many 2nd generation British children are living with today. The conflicting attitudes towards dating and relationships made apparent in this documentary can be extrapolated to the larger perceived discord between ‘Islamic’ and British values. The older members of the community wish to enforce their own conservative views on the younger generation, with one mother even declaring that a child would be completely cut off from the family if they were found to have a boyfriend or girlfriend. This type of harsh disapproval of any sort of romantic relationship has its roots in the idea that dating is inherently a promiscuous act, that it is the result of Westernisation, and that ultimately, all Western ideas are in conflict with Islam. This retrograde belief is simply untrue and most definitely unhelpful. Such a view stems from the peculiar view that Islam is the inverse of the Western way of life. Dating as a Muslim, by no means without its own challenges (I could tell you stories), can be adapted in a variety of ways to suit various different moral codes. The show explored how second generation Muslims are being pressured to take up a view of marriage based solely on economics, which appears to trump every other concern. Such a view is outdated and ultimately leads to unhappy marriages and people. When British Muslim communities, in particular Asian communities (as we witnessed in the programme), as a whole, fail to adapt to changing times, they do so at the expense of their young people who inevitably end up tangled in an unhappy identity crisis. When it comes to conservative Islamic attitudes towards marriage, there is a tendency to focus on a very small part of marriage, namely, that the couple are aligned when it comes to their religious practises. The fact that a man prays five times a day or that a woman covers is seen as sufficient knowledge to judge his/her suitability. Sadly, for those who adhere to this practice, the whole notion of marriage is based upon a flawed premise. This simplistic view of marriage fails to consider the complexities and nuances that comprise a successful relationship. Compatible religious views are certainly an important consideration, yet compatibility among other matters is essential in order to sustain a long-term happy relationship. I recall my extremist/conservative days when the criterion for a suitable partner was simple; whether we found them physically attractive (of course), and whether she covered and prayed, as this would define her as a good Muslim. Other essential factors such as the compatibility of our personalities, whether we had the same goals and ambitions in life, were not even considered. Why? Because since the partner was a ‘devout’ Muslim, there simply could not be any conflicts or friction. Its assumed that non-Muslims don’t share the same fundamental values as Muslims, and as a result, having a non-Muslim partner is simply out of the equation. Yet we find that inter-faith marriages are slowly but surely on the rise. This is because, despite the conventional knowledge, it is completely possible for Muslims and non-Muslims to find affinity in terms of values. Kindness and compassion, qualities that are key to any relationship, are obviously not exclusive to Muslims. But the conservative view on dating tells us that this cohesion is simply impossible to attain. And yet, we saw Muslims on the programme discussing the prospect of marriage after just two meetings. Two meetings to decide whether you spend your entire life with that person. I’ve seen recruitment processes more rigorous than that. Perhaps then it is no surprise that one of the community elders is seen complaining about the rising number of divorces among British Muslims. Setting religion as the sole condition for any relationship does gross injustice to both parties. Not to mention that the majority, if not all the marriages that I witnessed during my extremist/conservative days have ended in divorce. It is important to state that arranged marriage is not the problem: the problem exists with the restrictive framework within which a marriage is arranged. While arranged marriage remains a prominent, and largely successful, feature in much of the Muslim world, it is employed within a more forgiving system that allows both parties involved the opportunity to get to know each other and subsequently make a decision. However, as is the case with most things when Muslims migrate to the West and find themselves in the minority, religious British Muslims have restricted themselves to an extreme, conservative view. The fact that there is a ‘marriage bureau’ operating within the mosque, with potential matches awkwardly meeting in prayer halls as their relatives watch on, says it all. By the end of the episode, Ash (who at this point shaves his beard) admits that his previous views were “on the extreme side.” His parting thoughts are poignant and, quite honestly, sad.